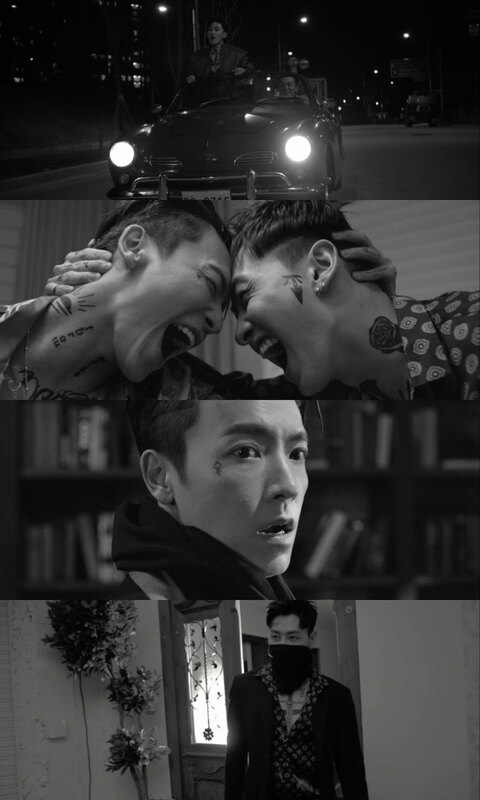 SUPER JUNIOR-D&E's action noir! Concert spoiler video surprise release! New album 'DANGER' Song 'Gloomy' inserted! DONGHAE's own song of a sad R & B genre! SUPER JUNIOR-D&E's first solo concert in Korea came one day ahead. So, SUPER JUNIOR-D&E released 'D&E Concert VCR Spoiler - Gloomy' on the official SNS and YouTube SMTOWN channels at 12:00 pm on April 12th and focused on the attention of global fans. This video contains the intense action scenes of DONGHAE and EUNHYUK who live a life that is not rough. The friendship of two men and the smoke of a deep gaze stand out. Expectations for a single performance by SUPER JUNIOR-D&E are also heightened by this video, which is reminiscent of a single noir movie. Gloomy is inserted into background music. 'Gloomy' in the new album 'DANGER' is the lyrics of DONGHAE's own song in medium tempo R & B / Trap genre, and the lyrics of "I'm depressed, We are already getting a hot reaction. In addition, the ending of the spoiler image can be confirmed at the exclusive concert site of SUPER JUNIOR-D&E held on 13-14th. On the other hand, the third mini album 'DANGER' will be released on all music sites at 6 pm on April 14 and the full album will be released on the next day.